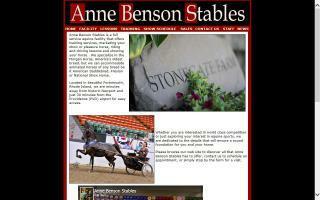 Sale Barns Directory - O Horse! Vicki and Sean Kelley at Antares Dressage import, train, take consignment sale horses, and sell dressage horses to dressage horse buyers throughout the US and Canada. 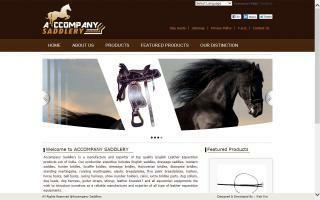 Aubrey Hill Equestrian is a full service hunter jumper facility that offers boarding, training, lessons, and sales. We have been importing horses and ponies from Europe for over 20 years. Many of our horses and ponies have gone on to win national championships. We offer a state of the art facility with top quality training. We also have a wonderful lesson program and summer riding camp. We offer horse boarding and riding lessons in hunters, jumpers, and equitation in Copake, New York - the Berkshires area of the Hudson Valley. We always have, or know of, a nice selection of horses and ponies for sale across the United States. Aubrey House Farm features indoor and outdoor arenas, an outside course, miles of trails and many acres of beautiful grass. Boarding is available to individuals who would like to participate in our program. Our resident trainer specializes in hunters, jumpers, and equitation. Lessons are available to riders of all levels from first time riders through advanced and to those who wish to compete. We love starting out riders correctly and welcome beginners of all ages. Twenty-four hour facility supervision includes a veterinary assistant living on premises. The atmosphere is friendly, informal, and family oriented. We pride ourselves in offering services of the highest standard in this welcoming environment. Full care facility providing excellent care for your horse. Large indoor arena with heated/ac observation room. New outdoor arena with full jump course. Lessons, training, leasing, and sales available. One stop for all horse activities. Baby Paws Farm supplies animals for all occasions. We do pony rides, wagon rides, a petting zoo, theatrical events, parades, and Girl/Boy Scout badges. We also do western riding lessons, driving lessons, horse camp, boarding, leasing, and rescue, and we buy and sell.